Just did an order for MTV Latin America. They did a 7-Day RUSH on our MicroKey USB drives. 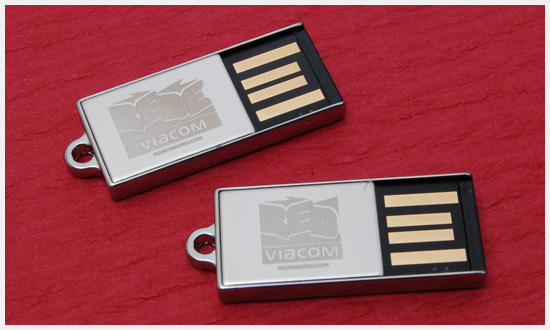 These tiny (1.2″ x 0.49″ x 0.125″) drives were laser etched with the Viacom logo in two different versions. CustomUSB.com is an excellent service; an awesome supply of products with great customer service and quick response. We had an urgent request met within days… Thanks for your help! !